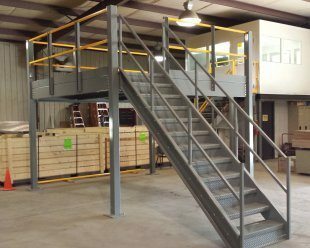 Having mezzanines as a solution for large, unused space can be a mandatory answer for most property owners with industrial units requiring upgrades. The days of expanding an area and hoping the costs will remaining minimal are long gone. The idea has become to make sure the results are maximized within the original space that has been allotted by the property owner. 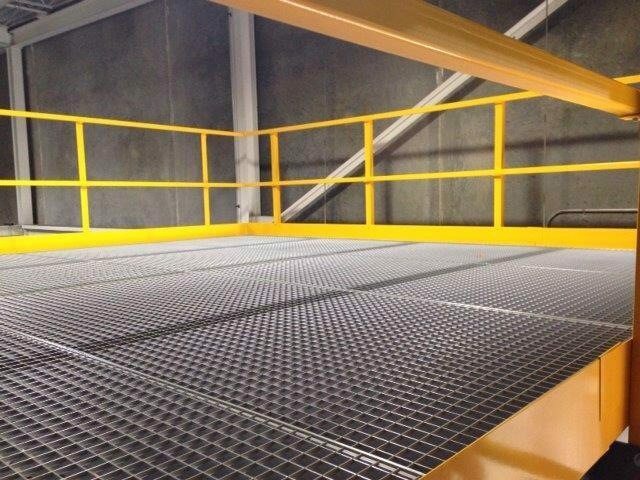 Mezzanines are one of the “go to” solutions for most industrial operations requiring a little space to run their production processes. Let’s take a look at tips for finding out how to pinpoint the right mezzanines for one’s property. The first factor to focus on before calling any service for this task is to ensure it is done with the correct dimensions. The mezzanine does not always look aesthetically pleasing based on the dimensions of the industrial unit. Is it able to host such an additional “new floor” within the current floor? This questions has to be answered with reasonable justification in order to progress forward. Most industrial units are designed to fit in a mezzanine, if the solution is required. Yet, just to be sure, the measurements should be kept in hand before calling in for an assessment. Just like balconies, mezzanines are designed with a relatively open concept on the edges. This can be concerning for someone who is standing on it and might feel slightly scared about falling off. This is why the edges have to be of the highest quality and should be able to withstand an incredible amount of stress. The materials used for these edges are what differentiate the finer services from those who are simply getting by. There are countless issues to take into account when working on the edges for a service. One of these issues includes the circulation of the air within the facility over a 24 hour period. This has to take into account the type of work being done within the industrial unit. All of this will have an effect on the material that is being used to construct the mezzanine. When speaking of structural requirements, the lighting is another factor that will have to be taken into account. When standing on top of the mezzanine, the individual should be able to take care of the lights without having to travel down and turn them off. This can become frustrating and is something that will be looked at during the design phase by any quality team. During the design phase, it is important to make sure the team is keeping an eye on the “openness” of the mezzanine. It should be able to metaphorically breathe in order to make sure the materials that are being stored upon it do not get ruined. Within an industrial unit, the mezzanine will be placed under a lot of stress and it is important to make sure it is helped out with the environment around it. If the mezzanine is closed off from the rest of the facility barring the stairs, it will lead to suffocation and this can be horrible for both people and materials up there. This is a factor that should never be overlooked, despite it being one of the lesser factors deliberated over by clients. Why? This has to do with the fact that the mezzanine comes within one’s view every time they step into the facility and an ugly mezzanine can be quite disconcerting. The client should remain on top of how they want the mezzanine to look and appear. Design teams are able to work with these requirements and make sure the final result is as desired. This is essential in this day and age. Experience has become paramount with such jobs as no one wants to have to call in another service for maintenance and other related expenses. The idea is to have the job done right the first time around and this can only be done by an experienced, proven service. The days of struggling with newer services are long gone as there are many high-quality, experienced options on the market ready to provide the perfect, customized mezzanine for clients. Interested clients do not have to fret over missing the little details that might have gone amiss with a newer team. An experienced team is able to assess the property to a tee and make sure everything is taken care of before beginning. If there are issues along the way, many methods and techniques have been created in order to make sure everything ends up going as smoothly as possible. A quality mezzanine takes experience to put together from the design phase, all the way to the final completion of the product. Aesthetic and functional value has to be at a premium with this and clients deserve nothing less.